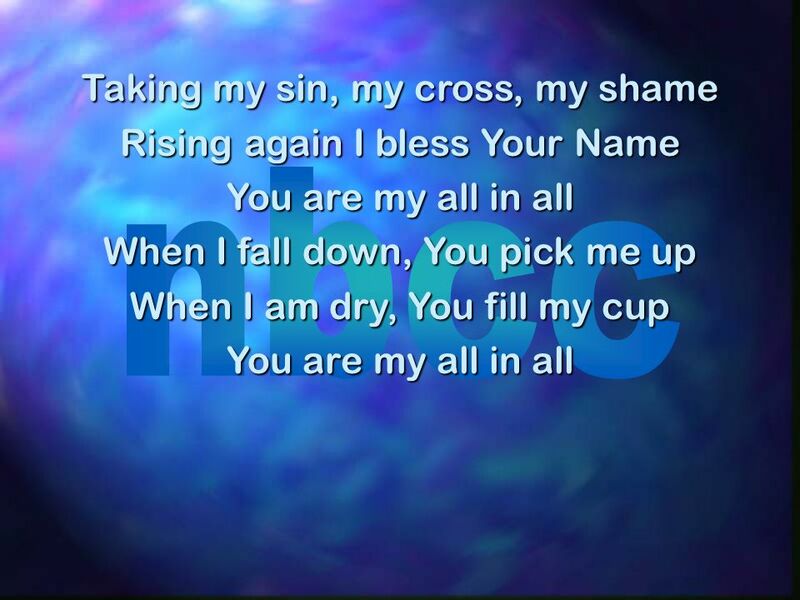 Download ppt "You Are My All in All You are my strength when I am weak"
Youre Worthy of My Praise CHORUS: I will give You all my worship I will give You all my praise You alone I long to worship You alone are worthy of my praise. 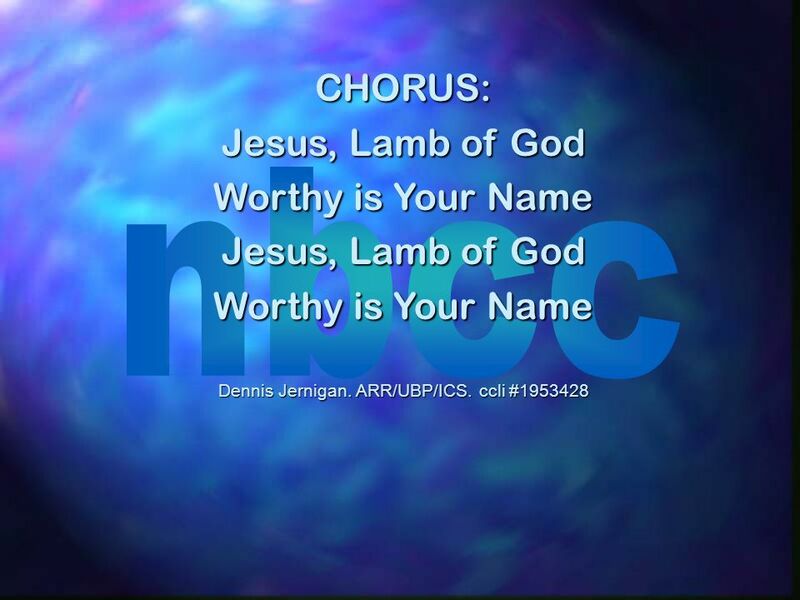 You Are My All in All Jesus Lamb of God Worthy is Your name Jesus Lamb of God Worthy is Your name. He is Yahweh Who is moving on the waters? Who is holding up the moon? Who is There Like You? Who is there like You And who else would Give their life for me Even suffering in my place. Lord, Reign in Me Over all the earth You reign on high Every mountain stream, every sunset sky But my one request, Lord, my only aim Is that Youd reign. Dancing in a Field Oooh, Youve got me dancing in a field Cause I know, I know I know Your love is real Oooh, Youve got me singing til the dawn Cause I.
Breathe on Me Breathe on me Breath of God Love and life That makes me free. All Things Are Possible Author Unknown  1997 Integrity’s Hosanna! Music ARR ICS UBP Almighty God, my Redeemer, My Hiding Place, my Safe Refuge; No other. 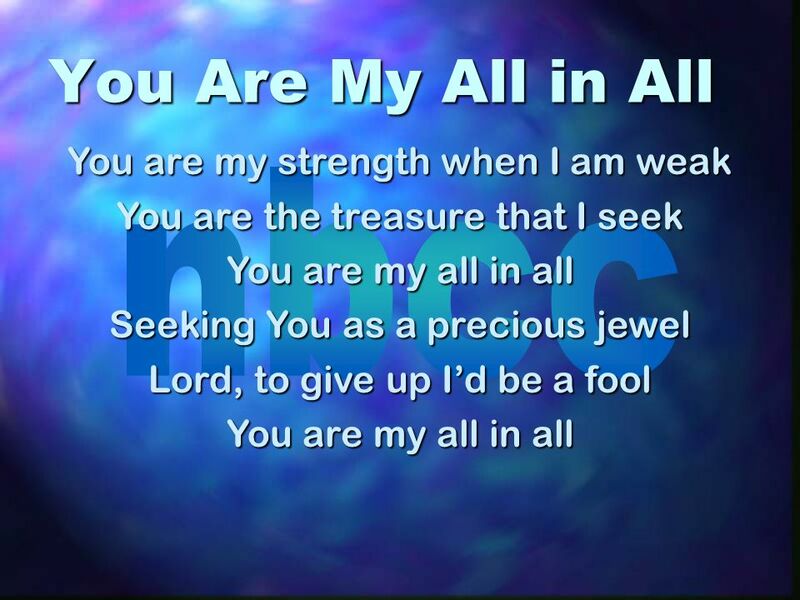 You Are My All in All. .. All in All You are my strength when I am weak, Du bist die Kraft auch wenn ich schwach, You are the treasure that I seek, Du bist der Schatz, nach. Praise and Worship Make a joyful noise unto the Lord. 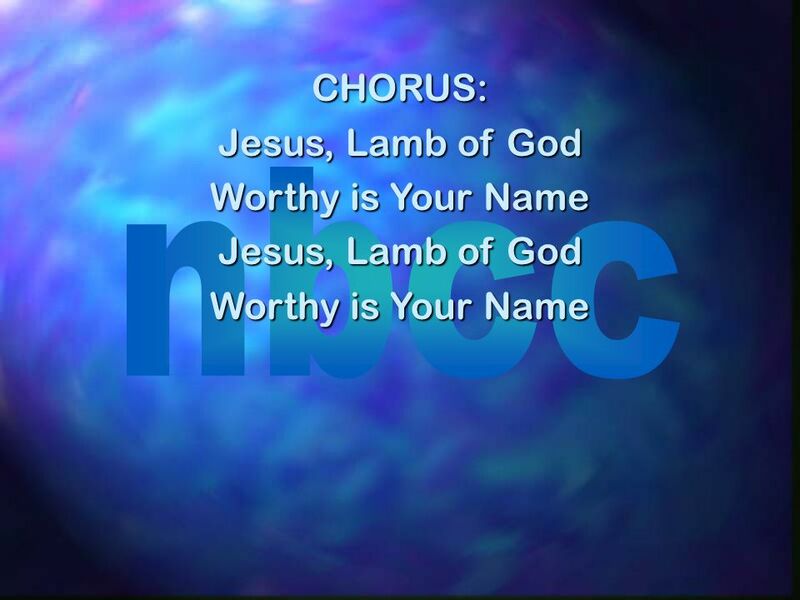 PRAISE AND WORSHIP “The Lord is my sheperd, I shall not want” Psalms 23 v 1. You are my strength when I am weak You are the treasure that I seek You are my all in all.